Hey everyone, Jessica here with another Tampa Bay events update... 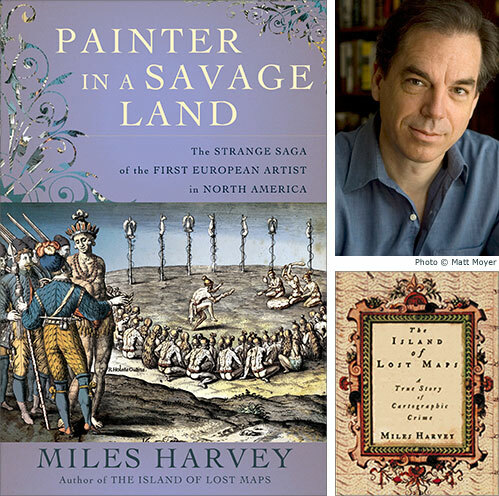 The Tampa Bay History Center&apos;s 2009-2010 season of the "Florida Conversations" continues this month with Miles Harvey, author of Painter in a Savage Land: The Strange Saga of the First European Artist in North America. This event will take place on Sunday, April 25 at 3:00PM. Throughout his writing, Harvey reveals one of the most fascinating and overlooked lives in American history. Painter in a Savage Land is the thrilling story of Jacques Le Moyne de Morgues, the first European artist to journey to what is now the continental United States with the express purpose of recording its wonders in pencil and paint. Le Moyne&apos;s images, which survive today in a series of spectacular engravings, provide a rare glimpse of Native American life at the pivotal time of first contact with the Europeans-- most of whom arrived witht he preconceived notion that the New World was an almost mythical place in which anything was possible. Florida Conversations is free and open to the public. It is underwritten by the Tampa Bay History Center Endowment Fund at USF and co-sponsored by the USF Libraries Florida Studies Center. For more information on this or other Tampa Bay area events happening at the History Center, visit www.tampabayhistorycenter.org. Check back often for more Tampa Bay area events or ideas for things to do in Tampa Bay!